← 3 March – Happy World Wildlife Day! 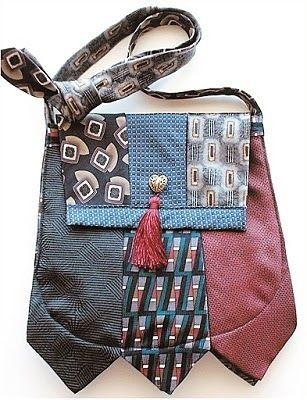 This workshop is a great opportunity for teenagers to exercise their imagination and creative skills whilst learning the art of textile upcycling. During the session we will discover the power of our own uniqueness and dispel the myth that beauty is purchased through fashion. This workshop is run by Carrie from Sussex Green Living and helpers. Venue: Park Barn, North Street, Horsham RH12 1LR. 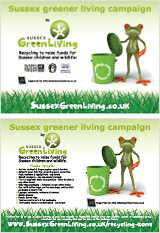 Tickets are limited: £5.00 – to book or enquire email Carrie: cort@sussexgreenliving.co.uk. We are inviting people to donate neckties and textiles some ties maybe used at the workshop. The textiles will benefit the environment, www.sussexgreenliving.co.uk and www.bagsofsupport.co.uk. Meet recycled robots: Landfill Larry, Ronny the Recycled Robot. 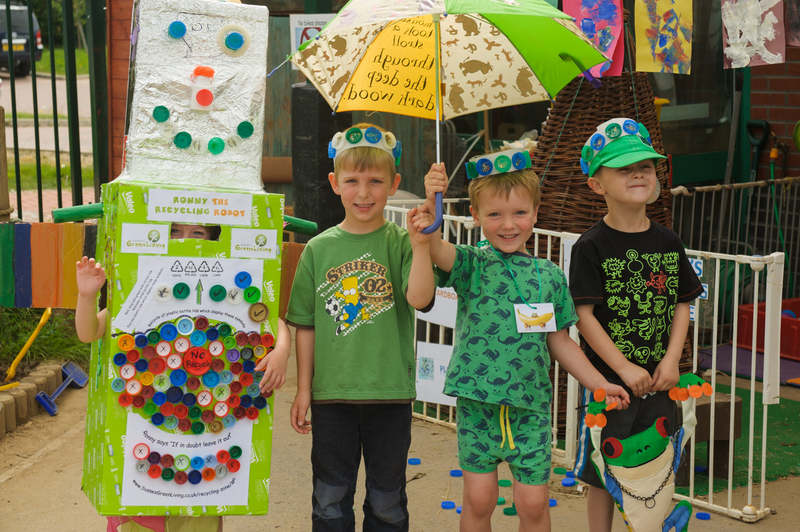 Do the recycling race – Battle of the Eco Warriors! Children and adults will have fun with a fashion display of upcycled clothes, accessories and bags made out of what some people call rubbish! Bring unwanted DVDs, CDs and books to our Swap Shop, bring one and take one (or more). Help us in our attempt to achieve a Guinness World Record for ‘The most neckties worn at once’, the current record is 260. So join in, bring a tie which you can donate to the cause or put a name label on the tie so it can be given back to you at the end of this record breaking event! Ron from the WSCC Waste Prevention team will play his guitar and sing some ‘rubbish songs’. Trish Norman will lead a thought provoking ceremony, for us all to join in, as we honour our planet Earth with all its rich gifts. Bring along a picnic and make an afternoon of it. Venue: Human Nature Garden, Horsham Park RH12 1RL or Park Barn if wet. FREE half term entertainment for the family! Necktie and general textile collection point. Learn more about this event and the tietastic Guinness World Record attempt here. 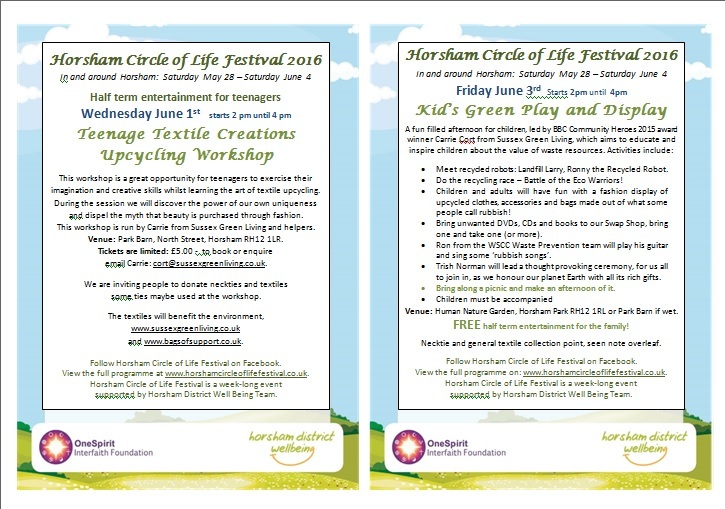 Follow Horsham Circle of Life Festival on Facebook. View the full programme on: www.horshamcircleoflifefestival.co.uk. supported by Horsham District Well Being Team. This entry was posted in Children & nature, Events, Recycling facts. Bookmark the permalink.